Decorated smart phone cases are all the rage these days. We love the overembellishment and creativity that's contained in such a small piece of art! 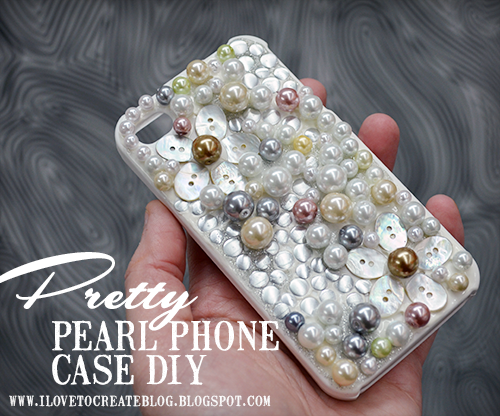 Making your own is so easy and fun and you can put on as much or as little bling as you want! 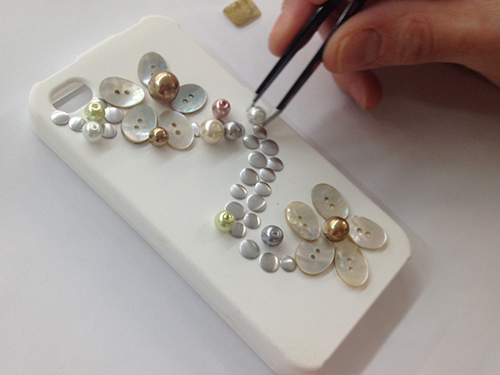 Our in-house designer Lauri shows you below how you can make your own! Lauri planned out her design and arrangement before she glued anything in place with the Puffy Paint! 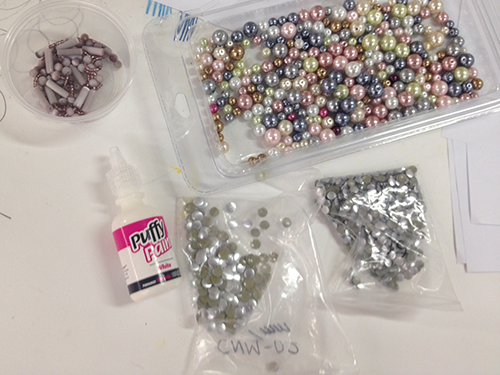 She then squeezed on the Puffy Paint and embedded the pearls and accents on top. She also squeezed small amounts in small areas not filled with beads or embellishments to finish off the look. This project is fun, but can be time-consuming based on how detailed you want to get! The Puffy Paint has a super strong bond and the embellishments hold perfectly in place, even while in your pocket or purse! 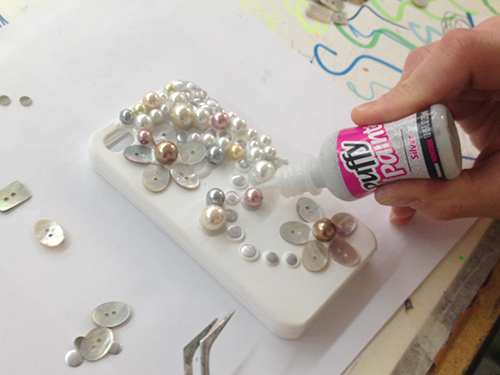 What kind of embellishments and Puffy Paint color would you like to use to create your phone? This would be an awesome party idea for a girl's night in or sleepover craft!